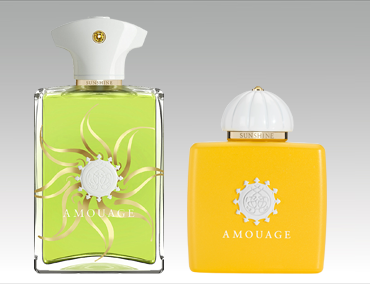 Drench your skin in the alluring rays of Amouage Sunshine, an opulent scent collection to radiate your natural flare. Inspired by the ethereal presence of bold and bright energy, the magnetic iridescence of Amouage Sunshine creates a phosphorescent glow in a collection of divine interpretation. Redolent of this ruling yellow star. For her, an elevating composition that embodies the sheer radiance and joy from solar flares. For him, an enigmatic eclipse of mystery and aromatic awe with a burst of sensuality.